In this age of “fake news,” trust in the news media has taken on a new, pressing importance, a topic to be discussed by a panel of experts Friday at the International Symposium on Online Journalism (ISOJ). She will be joined by Lisa Fazio, an assistant professor at Vanderbilt University who recently wrote about the Moses Illusion for The Conversation. The Moses Illusion refers to the phenomenon of people repeating a mistake — it was Noah who populated the Ark with animals, not Moses — even though they have the knowledge to recognize the error. Frédéric Filloux is a French journalist currently based at Stanford University as a John S. Knight Senior Research Fellow where he is working on his fact-checking creation Deepnews.ai. This initiative, formerly called the News Quality Scoring Project, uses machine learning and a scoring system to discern quality journalism, or value-added journalism, from fake news or clickbait nonsense. Filloux is also editor of Monday Note, a newsletter about media and technology that lands in approximately 30,000 email boxes. It is also a blog hosted by Medium and republished by Quartz. City Bureau has recruited 330 civic journalists, or Documenters, Chicagoans who see a need to serve their specific community, “citizens who understand the value of reclaiming journalism and citizenship for the public,” Holliday wrote recently in a Medium article. Registration for the 19th annual ISOJ is closed, but the April 13-14 conference will be live-streamed on YouTube, Facebook and Isoj.org, including a channel with simultaneous translation to Spanish. For updates during the conference, follow ISOJ on Twitter at @ISOJ2018 or with #ISOJ2018. News will also be available on Facebook and Snapchat. 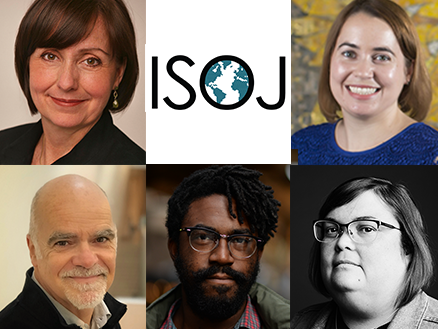 ISOJ, of which the Knight Foundation is a sponsor, takes place at the Blanton Museum of Art on the campus of the University of Texas at Austin, and it features more than 70 media executives, professionals and academics from 41 countries.